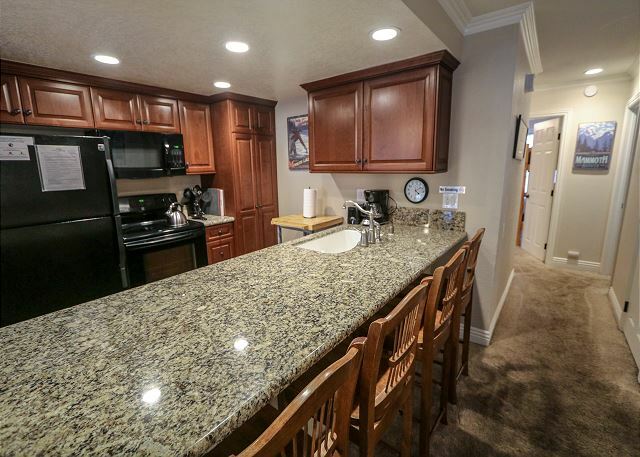 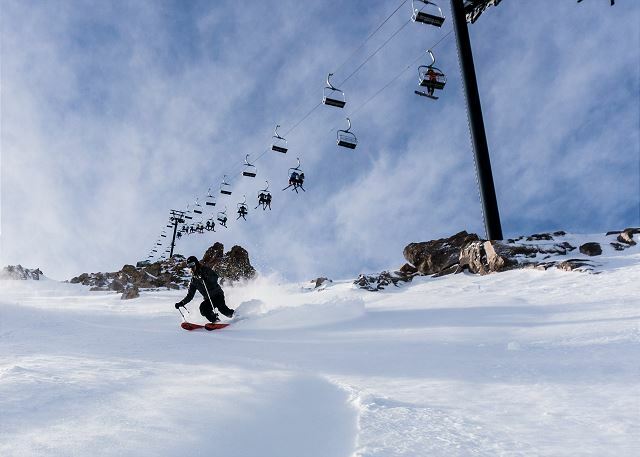 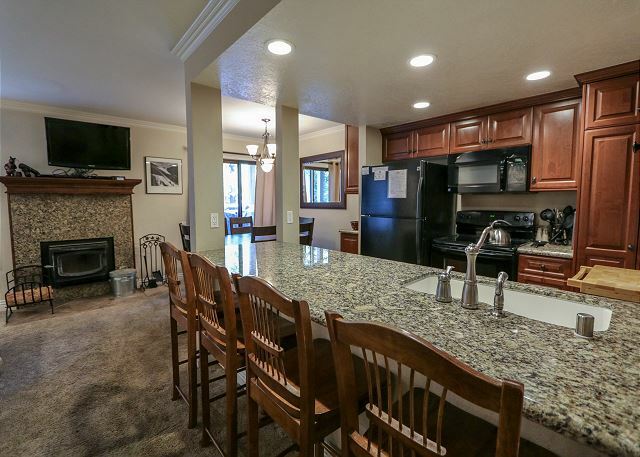 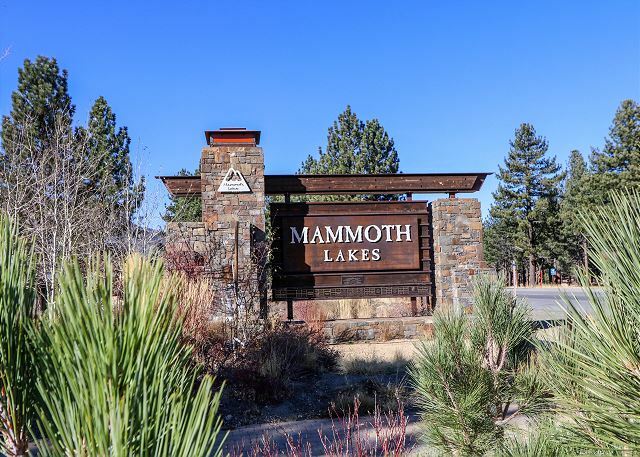 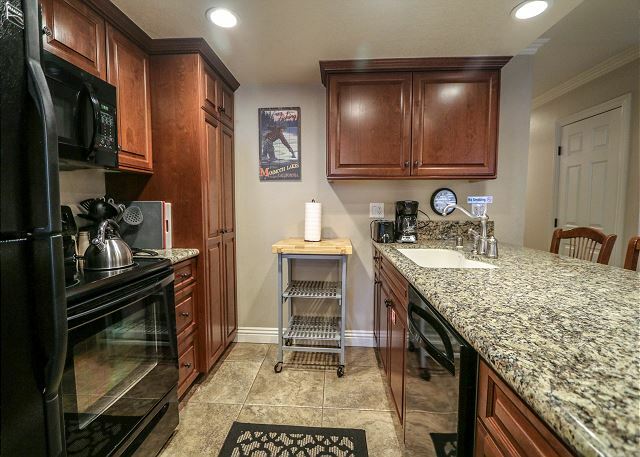 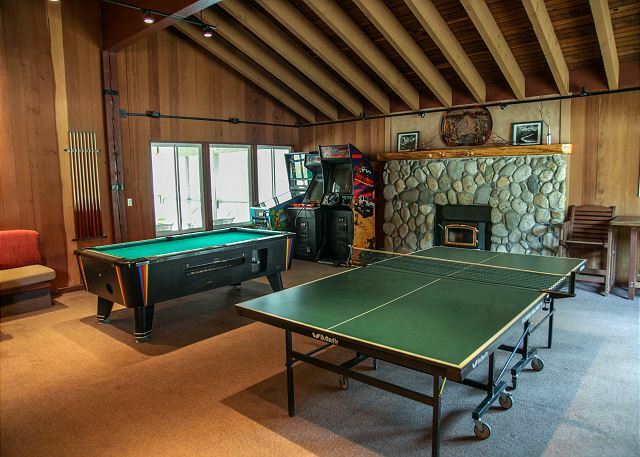 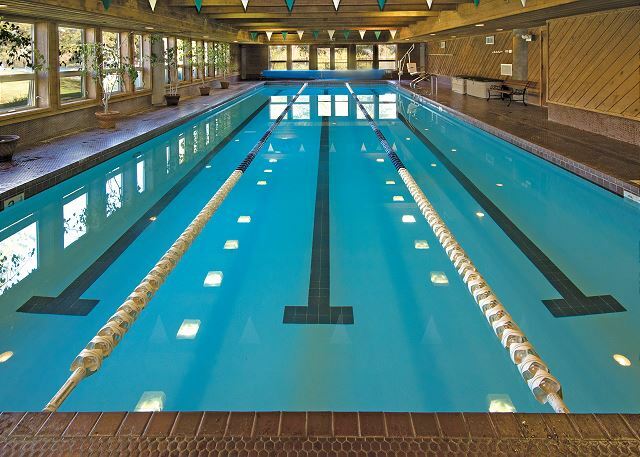 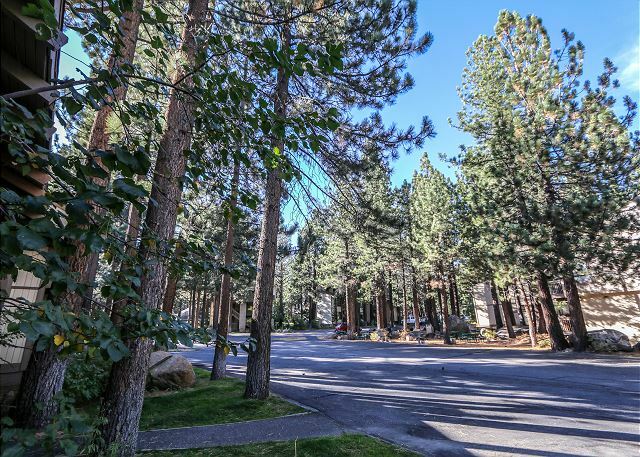 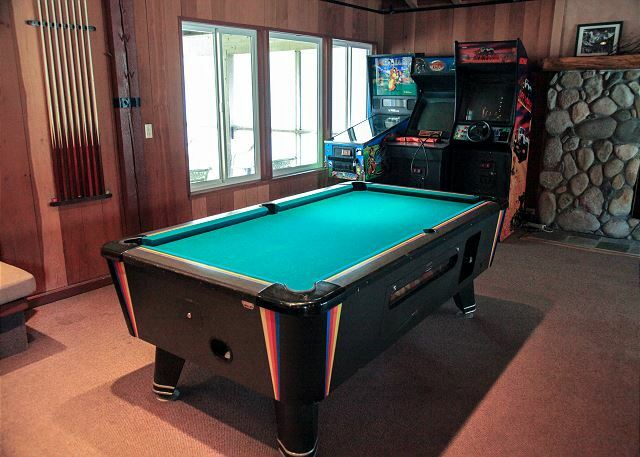 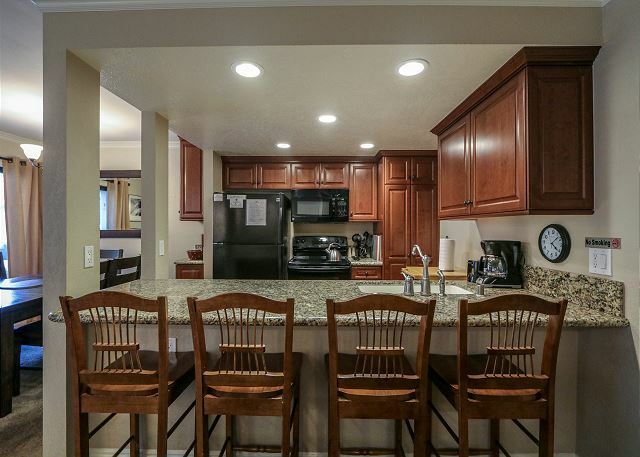 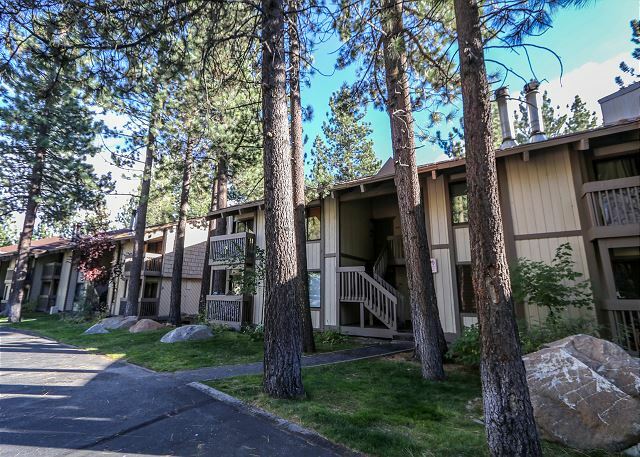 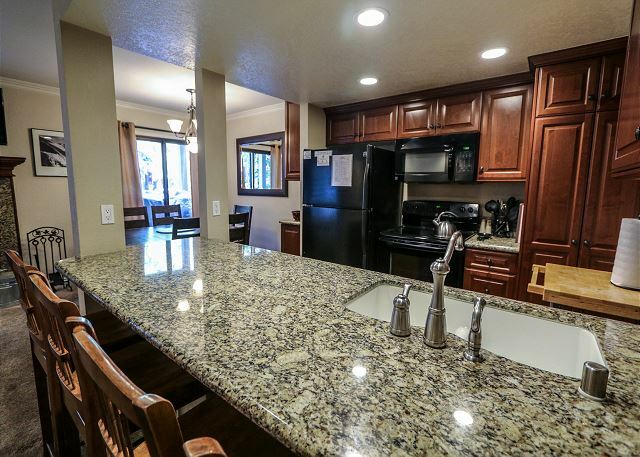 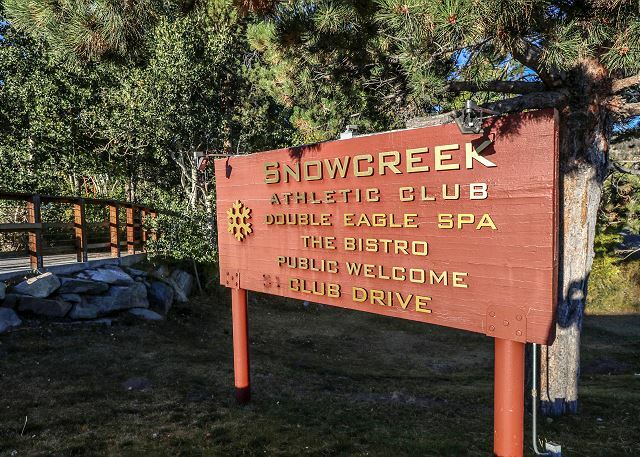 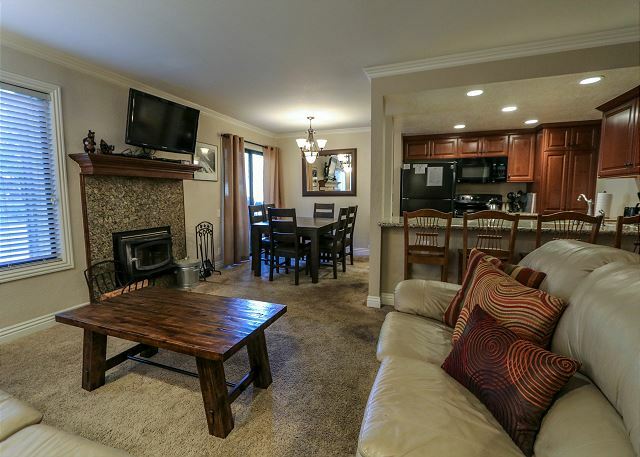 This two bedroom, two bathroom condo located in Mammoth Lakes is a quiet, simple and clean retreat for your Winter or Summer vacation. 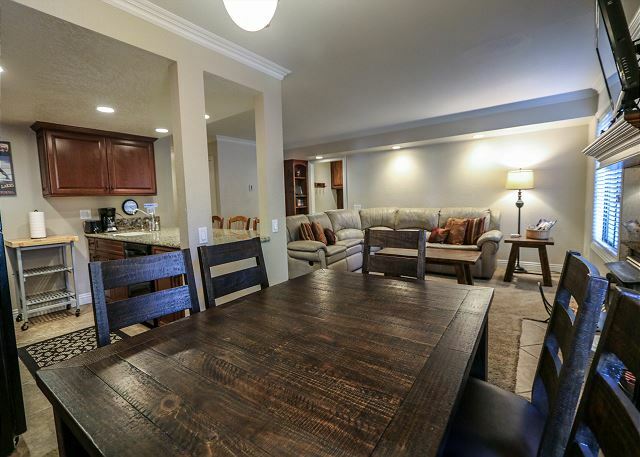 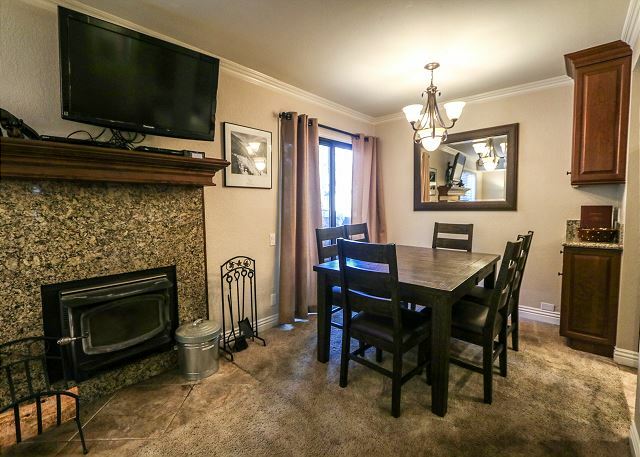 The living room has a large sectional sofa that will fit the entire family, the kitchen and bathrooms are outfitted with granite countertops, the bedrooms have custom ceiling fans to keep you cool in the Summer, and the living room has a cozy wood-burning fireplace to keep you warm in the Winter. 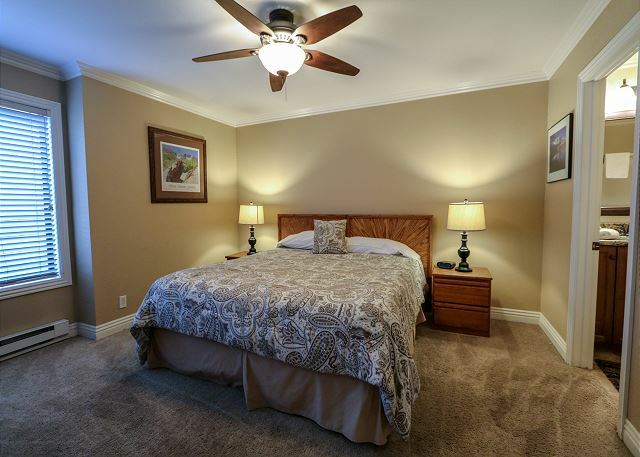 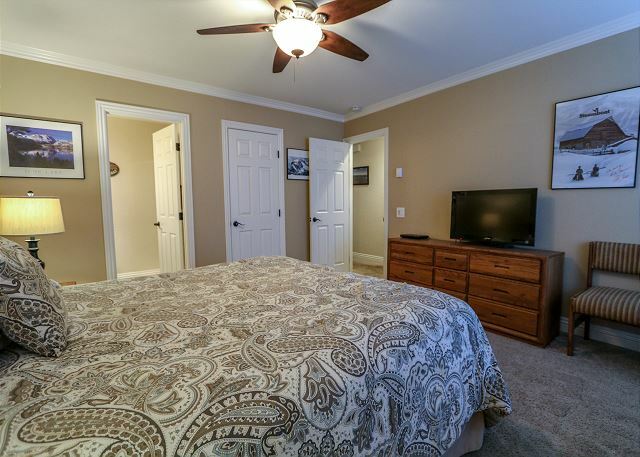 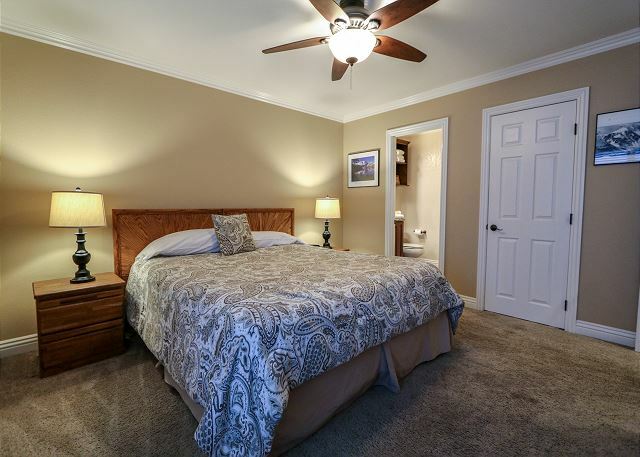 The master bedroom features a King bed, en-suite bathroom with stand up shower, and flatscreen TV. 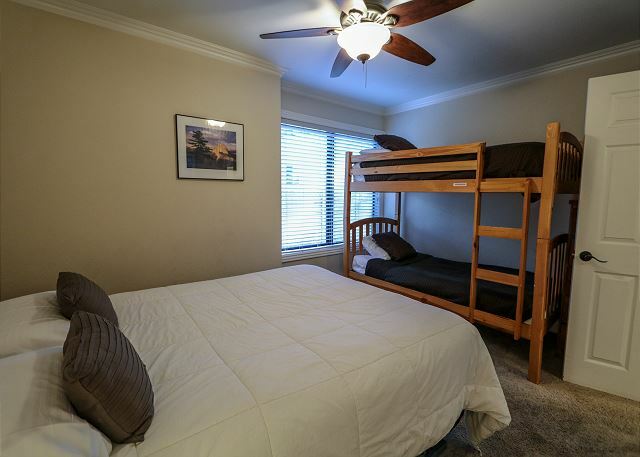 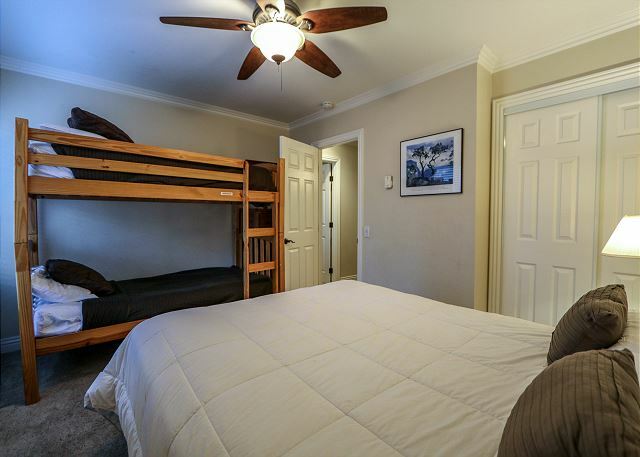 with DVD player The second bedroom is perfect for the kids and offers a Queen bed as well as bunk bed with 2 Twins and access to the shared bathroom. 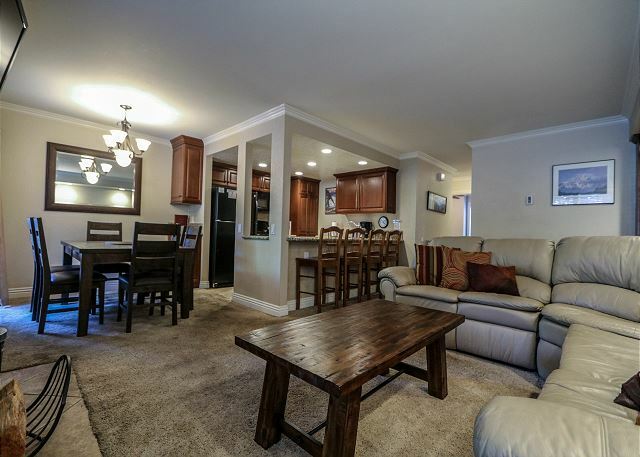 The living room sectional also pulls out into a King size sofabed for additional guests.